Macca the pig from Unicare Early Childhood Education. MUCH-LOVED pig and UWA campus celebrity Macca is ill, with his not-for-profit home facing mounting vet bills. 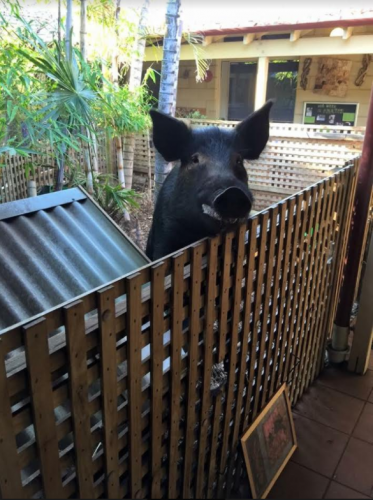 The pig usually lives at the Unicare Early Childhood Education centre to the delight of children and passersby. But four weeks ago Macca contracted a potentially life-threatening skin infection and has since been isolated at Murdoch Veterinary Hospital. “Macca’s care is very expensive, running into hundreds of dollars per day, but to us Macca is family,” Unicare inclusion support worker Dale Ryan said. 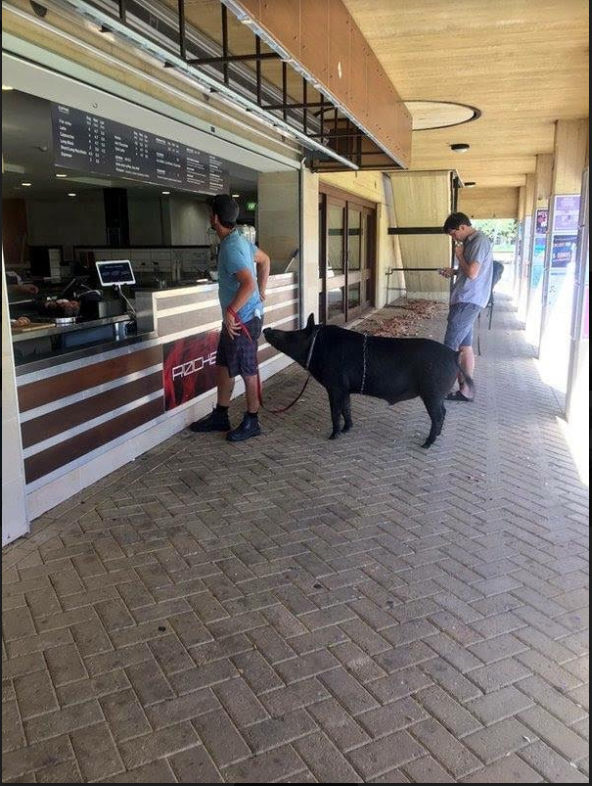 Macca the pig out and about at UWA. Macca is being treated with 16 tablets a day plus insecticide washes, and Mr Ryan said he has improved drastically but is not out of the woods yet. 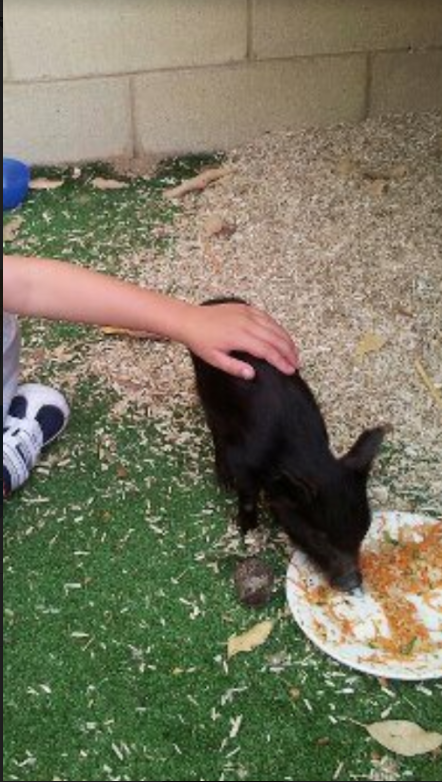 The pig was purchased from over east six years ago to join the Unicare animal family of ducks, chickens and fish and help the children learn about nature. However, Macca did not stay miniature as staff expected; he now weighs in excess of 150kg and can often be seen around the UWA grounds accompanying the children and educators on walks. Macca the pig has been at Unicare Early Childhood Education for six years, and was originally thought to be a minature pig. “The connection the children have with Macca is strong and unique,” Mr Ryan said. To help with Macca’s vet care, head to gofundme.com/getmaccawell.